Being Radical or just Responsible? Eleven months ago we made a family decision to eliminate our cable TV subscription. In our five member family I was the only person who watched many shows on TV, and I usually complained about the content and selection available for viewing when I wanted to sit and watch. My wife watched very little TV and my kids watched primarily videos on YouTube and DVDs. So, when I say we made a family decision, I had one vote out of five, and I lost. Joking aside, we planned for over a year about how we were going to try and survive without TV. There was a TV in basically every room except for the bathroom, and most were not digital. So, we were concerned about having easy access to content. We decided that Netflix, the Internet, and DVDs would be our only sources for video content. Two of our TVs were LCD and we decided that we could use these two TVs with the Xbox and the Wii to access Netflix and connect a laptop when needed. We have a 23" all-in-one desktop computer that could serve as a TV for Netflix, the Internet, and DVDs. And, we would need to dispose of 4 older TVs that weren't compatible with out project. It was going to be a year long experiment. So, the plan was set and we called the cable company to adjust our account and drop cable TV and upgrade our Internet speed. We also dropped our landline phone at the same time. We had a triple bundled package - phone, cable TV, and Internet access. For a few days after the cable company made the changes to our account we experienced some issues with our Internet access. The first couple of calls to support went through the process of a tech coming to the house to adjust equipment and a new filter they had put on the line that appeared to be blocking all of our signal instead of just the TV signal. Over those few days, we had to make a few tech support calls and during one of the last calls when my wife explained what was happing and what we were doing to our service, the phone support person told my wife that our actions were radical. We thought that was pretty fun. Two socially conscious and fiscally conservative suburbanites…radicals. Eliminating a subscription that we didnt feel was proving us enough quality for the expense was perceived as radical. We felt that we were only utilizing a fraction of the service and decided to reevaluate our purchase. In our minds we weren't being radical, rather we were being frugal. So, our radical experiment has had some interesting results. Family budget wise, we reduced our bill for the cable company from $130 a month down to $55. 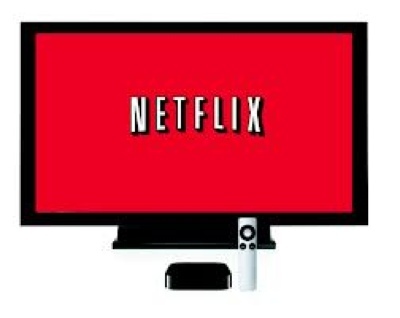 Add in the $8 a month for Netflix and we reduced our monthly expenditures by over $60. This we expected. What we didn't expect was that we all watch more TV through Netflix than we did through cable. Reflecting on the shows that we watch, we probably watch more TV because in the larger collection to choose from, there are more shows that meet out interests than are on programmed networks. We can choose what we watch, when we want to watch it. We watch more shows as a family. We watch shows equally, if not more, on our iPad and now iPad Mini as we do on our larger TVs. I watch shows on my iPhone. I don't miss watching sports as much as I thought I would. Some news sites have live streaming for their news and weather. ABC's and other networks' shows are now available the next day after air, without Hulu Plus. Including Modern Family. I thought after our first year was up that I would be reconvening the family council to take a new vote and decide to resubscribe to cable TV. I wont be doing this. We like what we now have and we won't be going back to cable TV at this time. Are we radical? Or did we just realize that we subscribed to cable and were paying for a service that we didn't really use because it is assumed that it is just what you do?